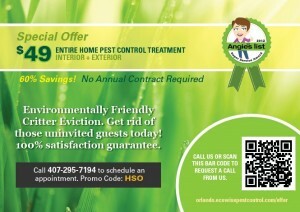 Click the image above to get your $49 entire home pest control treatment coupon! 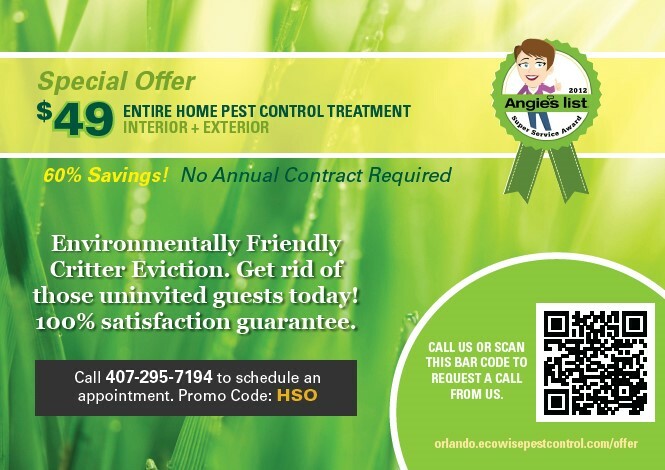 Critter Control, the nation’s leading wildlife control company, is skilled at dealing with many of the nation’s most bothersome pests. Whether you need to get rid of pesky raccoons or squirrels from your attic, remove moles that are ravaging your lawn or prevent geese from making a mess on your property, count on Critter Control to get the job done in a safe, effective and humane manner.